If you have chosen Rhodes as your next vacation destination, then it is important you plan your itinerary carefully. There are many things to do and enjoy in this region, but you would not want to miss some of the unique features offered by the island. Consider this as your travel guide, so you can easily plot the destinations and activities you will explore during your stay. How can you ignore the beautiful beaches of Rhodes? The turquoise waters and fine sand beaches of the region are tempting enough to lure anyone to an entire day of beach escapade. Lie on the beach and enjoy a suntan while you read your favorite novel. You could also go swimming, surfing, or island hopping with your friends. 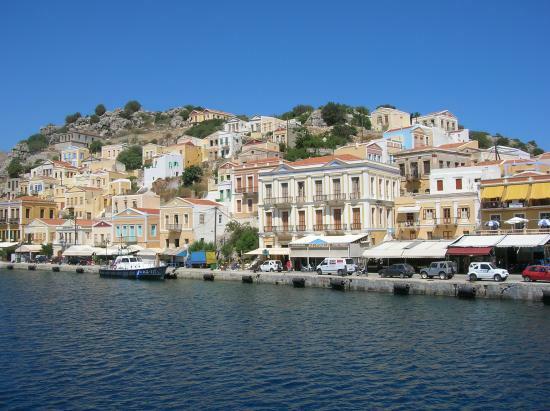 Visit the nearby tavernas for a chilled drink or tasty snack to fill your appetite. The beauty of the beaches of Rhodes may have mesmerized you; but if this has cast a spell upon you; the history and culture of the region will enchant you even more. You must have heard about the Colossus of Rhodes, one of the original Seven Wonders of the World, and it is unfortunate that you would not see it upon entrance to Rhodes. However, remnants of where the gigantic sculpture of Helios once stood, still lie evidence in the island. For more ancient collections, visit the Archeological Museum, which was once the Hospital of the Knights. Find random jewelry, mosaic floors, metal objects, marble sculpture, and funeral slabs from the times of the Greeks, the Romans, and the Knights Order perfectly gathered to help recreate scenes of the past in your imagination. Enter Rhodes Town and prepare to travel back in time when Knights ruled Europe. Visit the Palace of the Grand Masters, stroll along the Street of Knights, and imagine how it must have been like to live during this period. Until today, the Old Town is divided into two: the Chora and the Castello. It is helpful if you can find a knowledgeable tour guide that could help you with the important facts related to these places for a more genuine path back to history. You may have spent almost all of your energy during your day trips in Rhode, but it is important not to waste all of it. It is wise if you have booked reservations in Rhodes hotels near the beach, because this will give you more opportunities to enjoy the nightlife. You will find many clubs and party places lined up in these places, allowing you time to chat about your unique experiences in the island. If you wish to dance the night away, then be at liberty to do so. This is the perfect time to taste the local dishes and the scenic night view of the island. Let it captivate your eyes and treasure every moment you are in it. Alex is a travel writter and recently started writing about the hotels in rhodes. We’re All Going On A Summer Holiday – But Where To Go This Summer? !